If you have champagne you are looking to sell, we may be interested in purchasing it. 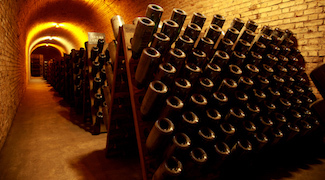 Before we buy any champagne, the first thing we check is where it has been stored (read about the importance of provenance here). 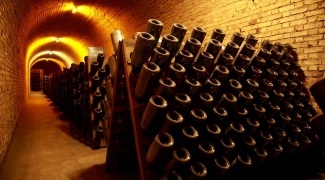 We are much more likely to purchase champagne that was bought on release from a UK agent and has been stored in a bonded warehouse – such as Octavian or London City Bond – or in a cellar with good temperature, light and humidity control. Typically, we are looking for vintage champagnes and prestige cuvées from the best-performing vintages: 2008, 2002, 1998, 1996, 1995, 1990, 1988 and 1979 in standard 75cl bottle size or in larger formats like magnums (1.5L) and jeroboams (3L). We are particularly interested in older and therefore scarcer vintages of the top brands and champagnes: Dom Pérignon, Louis Roederer Cristal, Krug, Pol Roger Sir Winston Churchill, Salon, Selosse and Taittinger Comtes de Champagne. A selection of champagnes that we are normally interested in is shown on the right, with typical purchase prices. If you are looking to sell any of the above champagnes, or something of equal quality and rarity, please give Chris or Nick a call on 020 7359 1608. Note: we would unlikely buy single bottles that have been stored at home, since storage conditions are likely to have negatively affected the champagne.